Download a PDF of the conference brochure for sharing with other parents or colleagues. 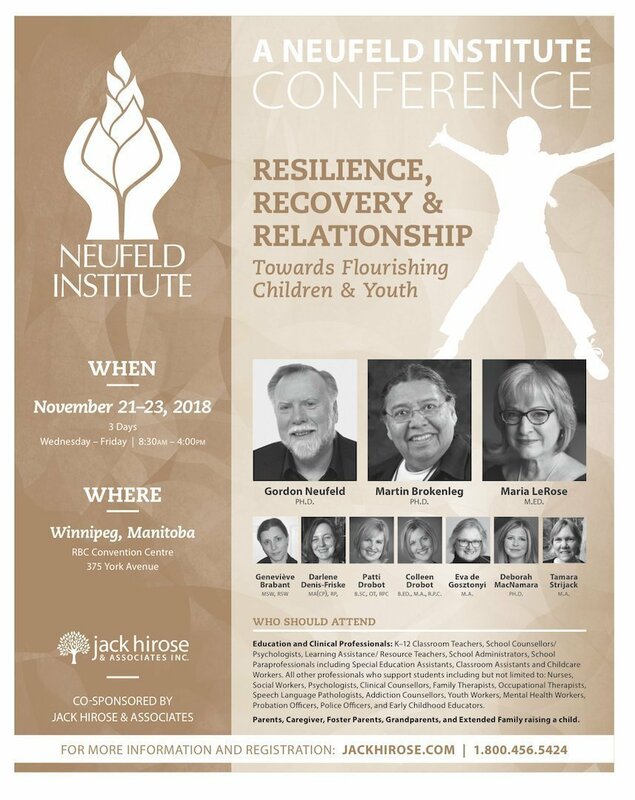 Please note: You can direct any questions you have about the conference content to the Neufeld Institute. Questions about fees, cancellation policies, and continuing education should be directed to Jack Hirose & Associates.